NEW! Our Zenith Collectors Helmet case includes a mirror back and Black Framed Base with gold risers. Choose your favorite NFL team logo beautifully engraved on the highest quality 1/8" cast acrylic lid. Helmet not included. Made in the USA. The Cleveland Indians 30-ball display case is made of 1/8"-thick acrylic with a black wood frame. It..
Our canvas prints use artist quality fabric stretched over a sturdy wood support. The canvas is gall..
Caseworks believe it or not! There is only one mini helmet in this ultimate 4th dimension case. Choo.. This Stanley Cup Champions Frame celebrates the 2009 Pittsburgh Penguins and includes: Headlines tru.. The Arizona Diamondbacks Golden Classic logo baseball display case comes with a black acrylic base a.. Display your favorite autographed baseballs in this ultimate, MLB licensed, triple ball case with go.. The Detroit Pistons logo cap display case is made of 1/8'' thick acrylic. It features a black acryli.. This football has been personally hand-signed by Quentin Jammer. It is officially licensed by the Na..
Pod-fanStands make the perfect gift! Each pod-fanStand is made out of the highest quality 3/16" clea..
Commemorate the Seattle Seahawks as the 2014 NFC Champions with this game-used collage. Each collect.. This boot has been personally hand-signed by Ricardo Kaka. It comes with an individually numbered, t.. This 16'' x 20'' team signed photo from CenturyLink Field has been personally hand-signed by members.. The Nebraska Cornhuskers wall-mountable logo helmet display case is made of 1/8"-thick acrylic with .. Triple Play! 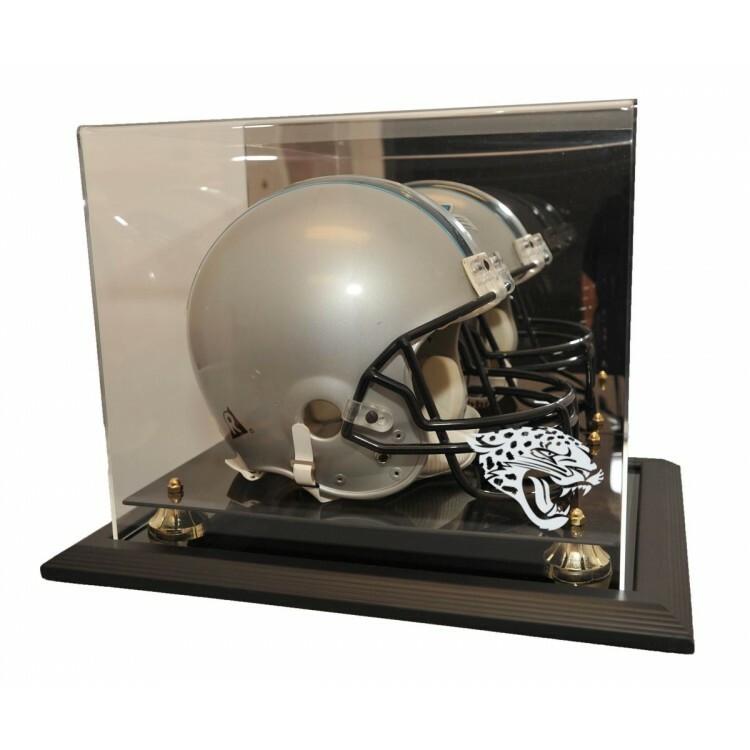 This three ball, wall mounted display with gold colored gloves can get your prized base..